John St. Augustine, former long-time Senior Producer for Oprah Radio, helps you power up your mornings with his Powerthoughts! 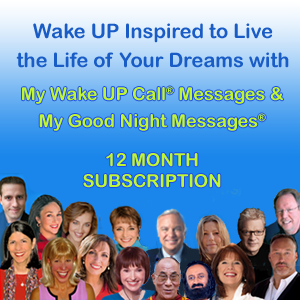 John’s personal insights will inspire you to begin each day powerfully! Power up your day with former longtime Oprah Radio Senior Producer, John St. Augustine. John St. Augustine has been called “The Voice of America” by veteran broadcaster Bill Kurtis and “the most influential voice on radio” by best-selling author Cheryl Richardson. 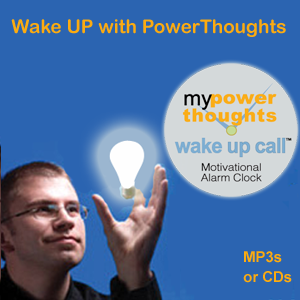 He is the creator and narrator of My Powerthoughts Wake Up Call messages. These engaging messages are a spin-off from his nationally syndicated radio show, Power!Talk Radio. This award winning show brings together various diverse perspectives that empower listeners with a renewed sense of life’s possibilities. Power!Talk Radio has won the Michigan Association of Broadcasters Best Talk Radio award for 1999-2000-2001. Since his first airdate in August of 1997, St. Augustine has broadcast over 10,500 shows.In 2007 The Visionary Project (UK) compiled an international list of 500 people that have been deemed “visionaries” in human achievement. The list includes names such as President Jimmy Carter, Oprah Winfrey, Nelson Mandela, and… John St. Augustine for using his voice on radio for positive change.